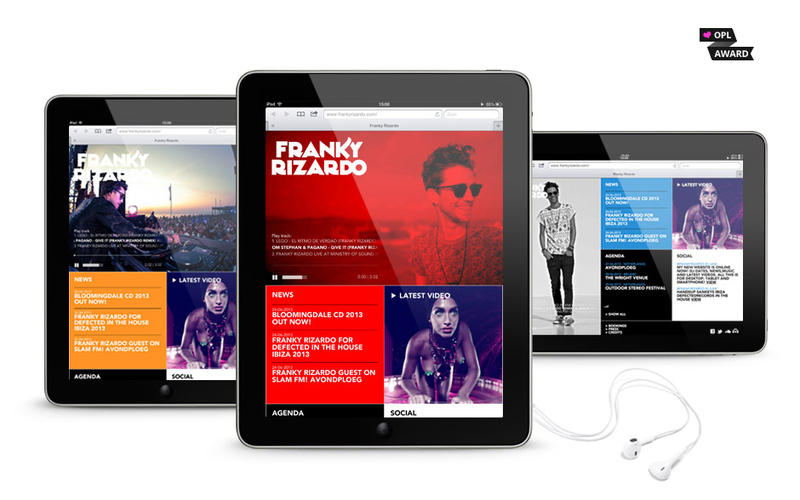 Cool responsive one page webdesign with a unique block layout for DJ Franky Rizardo. Online Media in the Mix. 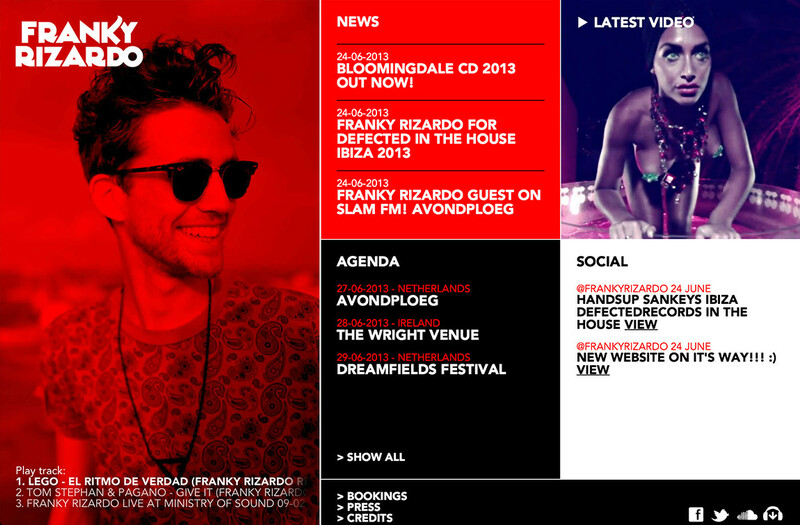 A mashup single page website for international DJ Franky Rizardo. The website is the center where the latest news, Franky's Tweets and upcoming events get together.